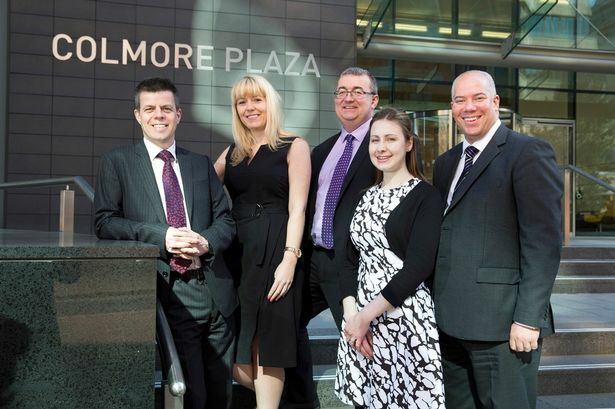 Business and finance adviser Grant Thornton in Birmingham has recruited three new people to its business services team. Launched a year ago to help growing businesses across the West Midlands, the team provides support such as preparing statutory and management accounts, payroll services, tax and compliance advice. It works with Grant Thornton’s special projects team, which provides a range of services including interim finance support. Martin Chalkley, Laura Ward and Luise Franks are joining Martin Nicholson, who leads the special projects team. Since joining Grant Thornton a year ago, Mr Nicholson has been involved with a variety of assignments for clients including a long-term project helping a provider of business grants appraise applications, creating and reviewing financial forecasting models, supplying interim financial control services and preparing a business case for an acquisition by a private members’ club. Partner David White said: “Martin, Laura and Luise all bring with them invaluable experience out in the field combined with a tangible can-do attitude to their work with clients. “Developing close, ongoing relationships is vital to help businesses unlock their potential for growth and nowhere is it more evident than in our business services work.